Caring for your wine glasses forms an integral part of appreciating wine and this starts with the way your glasses are stored. Most of us make the mistake of storing our glasses upside down. Doing this will trap odours and stale air inside the glass. You might even be able to smell what I mean if you give a glass a good whiff straight from the shelf. The correct way to store glasses is to stand them upright, with a sheet of clear paper over the top to protect them from dust. The most important rule when it comes to cleaning your wine glasses is to never put them in the dishwasher. I have seen too many dishwasher-washed glasses that develop a frosted effect, a definite no-no for when you want to admire the colour of the wine. Dishwashers also increase the risk of your glasses getting broken. The best thing to do is to wash each glass by hand in some warm water with a little bit of dishwashing liquid. Make sure that you rinse the glass well afterwards (again with some warm water) to get rid of all the soap. I like to leave the glasses upside down to dry and then to wipe them with a lint-free cloth until they are nice and shiny. If shine is important to you, the best way to get your glasses to sparkle is to hold them above a steaming pot of water (or a kettle – but be careful, steam can cause a nasty burn), letting the steam cover the whole glass. Once it is covered in steam, dry it with a lint-free cloth. This method works particularly well with crystal glasses. In very general, red wines are served at cooler room temperatures and white wines are best served chilled. When wines are served too warm they tend to taste unbalanced with an alcohol edge. When wines are served to cold the innate flavors and aromas are significantly suppressed. 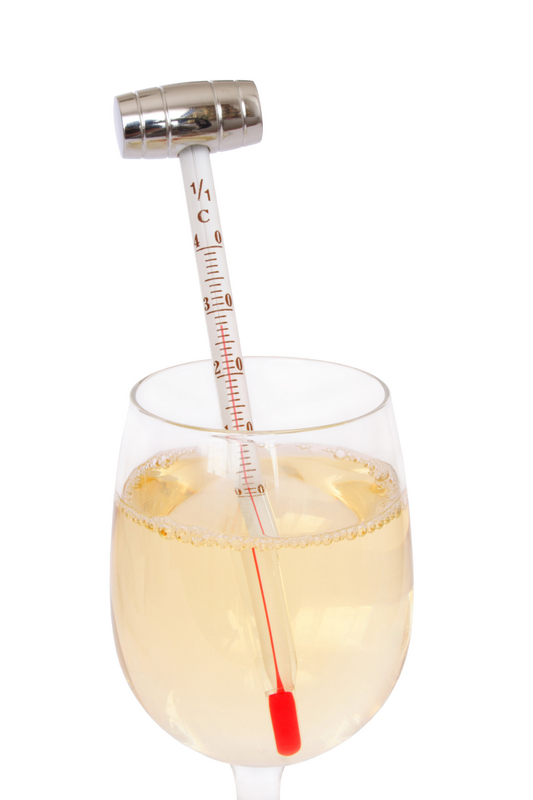 So, to serve your wines just right, take a look at the Wine Serving Temperature guidelines below. The whole concept of letting wine breathe, or aerate, is simply maximizing your wine’s exposure to the surrounding air. By allowing wine to mix and mingle with air, the wine will typically warm up and the wine’s aromas will open up, the flavour profile will soften and mellow out a bit and the overall flavour characteristics should improve. 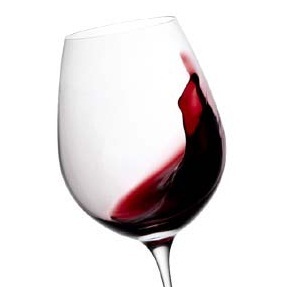 Typically red wines are the ones to benefit most from breathing before serving. However, there are select whites that will also improve with a little air exposure. In general, most wines will improve with as little as 15-20 minutes of air time. However, if the wine is young with high tannin levels, it will need more time to aerate before enjoying. For example, a young Cabernet Sauvignon will likely require around an hour for proper aeration and flavour softening to take place. Not that you cannot drink it as soon as it is uncorked, but to put its best foot forward give it more time to breathe. Mature wines (8+ years) are another story all together. These wines will benefit most from decanting and then will only have a small window of aeration opportunity before the flavour profiles begin to deteriorate. 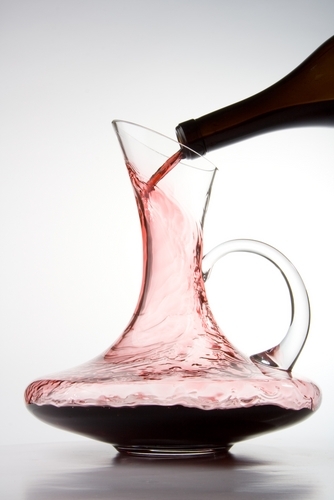 Decanter – use a decanter, a flower vase, an orange juice pitcher, whatever – any large liquid container with a wide opening at the top to pour your bottle of wine into. The increased surface area is the key to allowing more air to make contact with your wine. Keep this in mind while setting up proper “breathing” techniques for your favorite wine. 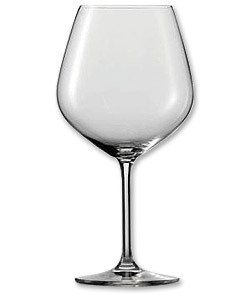 The Wine Glass – Pour your wine into wine glasses and let it aerate in situ. This is certainly the low-maintenance method and typically works quite well. Just be sure to keep the glass away from the kitchen commotion, while it breathes in peace. * Tip, for pouring wine into glasses make sure that you pour into the center of the glass with a good 15- 25 cminches of “fall” from bottle to glass to allow for further aeration during the actual pour. small volumes, with a small allocation sold through the farm’s Cellar Door. The Vinoteque has managed to secure a very small selection of these exceptional wines, available exclusively to Vinoteque members. These wines can be enjoyed now, but will also benefit from further maturation in either your cellar or ours – the choice is yours. 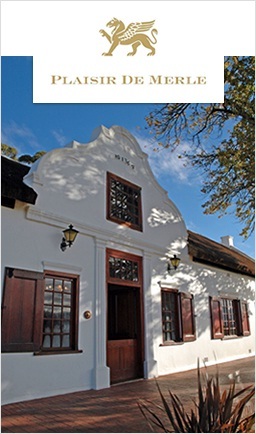 Order one or all of these wines online at www.vinoteque.co.za and stand a chance to win a fantastic Waterman Expert pen. When you drink or taste wine, your taste buds and your sense of smell are involved, adding to the way you interpret wine overall. The flavours, aromas and sensations that wine is comprised of provide the interaction that you taste when you sample wine. Sweetness is something that wines are well known for. With most types of wine, grapes are responsible for the sweet taste. Grapes contain a lot of sugar, which breaks the yeast down into alcohol. The grapes and yeast that were used to produce the wine will leave behind various sugars, which your tongue will be able to quickly detect. Once your tongue detects these various sugars, the stimulation of sweetness from the wine will be ever so present in your mouth. Alcohol is also present in wine, although your tongue does not really know how to decipher the taste of alcohol. Even though the tongue does not really taste alcohol, the alcohol is present in the mouth. The alcohol found in wine will dilate blood vessels and therefore intensify all of the other flavours found in the wine. After you have samples a few types of wine, the alcohol level can easily have an effect on your taste buds, making it hard to distinguish other drinks that you may have. Another flavour is acidity, which will effect the sugars. With the proper balance of acidity, the overall flavour of wine can be very overwhelming. Once you taste wine that contains it, the flavour of the acidity will be well known to your tongue. Although acidity is great with wine, too much of it will leave a very sharp taste. With the right levels, acidity will bring the flavours of the grape and fruits alive in your mouth – providing you with the perfect taste. Yet another effect of flavour are tannins, which are the proteins found in the skins of grapes and other fruits. If a wine has the right amount of tannins, it will give your tongue a great feel, and bring in the sensations of the other flavours . Once a wine starts to age, the tannins will begin to breakdown in the bottle, giving you a softer feel to the taste. Tannins are essential for the taste of wine – providing the wine has been properly aged. The last flavour associated with wine is oak. 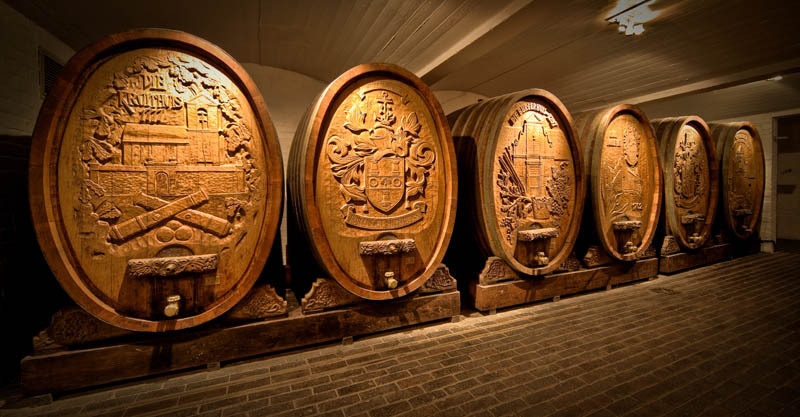 Although oak is not put into the wine during the manufacturing process, it is actually transferred during the ageing process, as most wines will spend quite a bit of time in oak barrels. Depending on how long the wine is left in the oak barrel or cask, the ability to extract the flavour will vary. Most often times, wine will be aged just enough to where the oak taste is visibly there – and adds the perfect sentiment to the taste. Although there are other flavours involved with the taste of wine, they are not as present as those listed above. The above flavours are the most present in wine, and also the flavours that you need to get more familiar with. Before you try to taste wine or distinguish flavours, you should always learn as much you can about the components responsible for the flavours. This way you will know more about what you are tasting and you will truly be able to appreciate wine.